Elected to the Thirty-ninth Parliament for the North Metropolitan Region on 5 April 2013 for term commencing 22 May 2013. Resigned 6 February 2017 (to contest the Legislative Assembly seat of Hillarys). 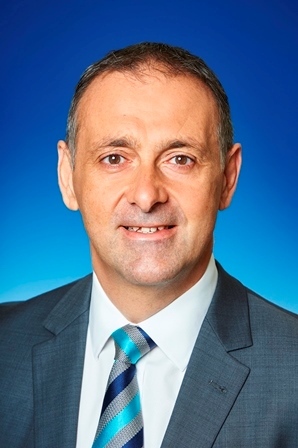 Elected to the Fortieth Parliament for Hillarys on 11 March 2017, in succession to Rob Johnson (defeated). Shadow Minister for Police; Road Safety; Corrective Services; Industrial Relations from 25 March 2017 to 21 December 2017. Shadow Minister for Police; Road Safety; Industrial Relations from 21 December 2017. Member, Joint Standing Committee on Delegated Legislation: 23 May 2013 - 30 January 2017. Deputy Chair, Standing Committee on Estimates and Financial Operations: 22 May 2013 - 6 February 2017. Member, Joint Standing Committee on Audit: 13 June 2013 - 30 January 2017. Member, Community Development and Justice Standing Committee from 23 May 2017 (Chair from 24 May 2017). Born 24 December 1965, Melbourne, Australia. Arrived in Western Australia in 2010. The electorate of Hillarys is located in the North Metropolitan Region and includes all or parts of the City of Joondalup. Comprising of all or parts of the localities of Beldon, Craigie, Hillarys, Kallaroo, Marmion, Padbury, and Sorrento. Enrolment (2017) 27,561; Area 24 sq.kms.